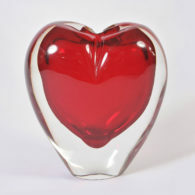 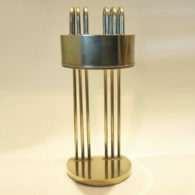 72cm high x 51cm diam. 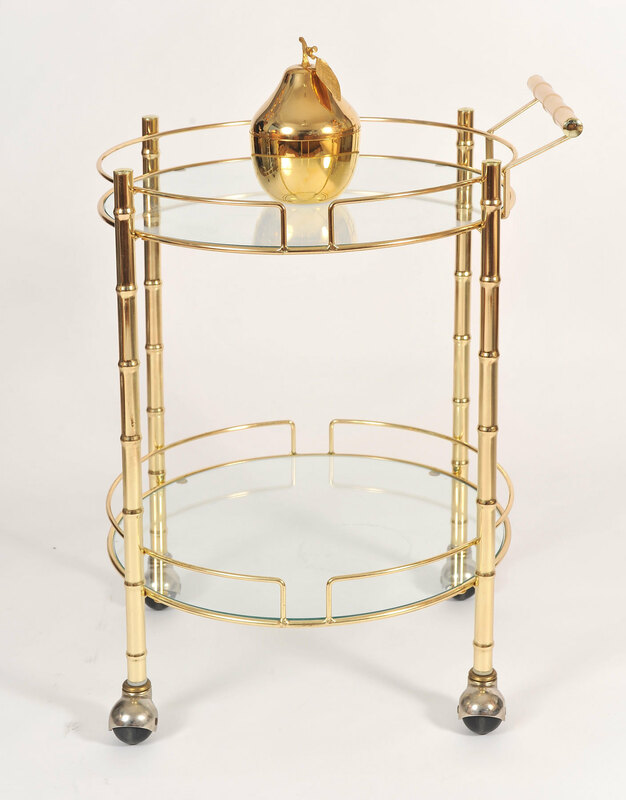 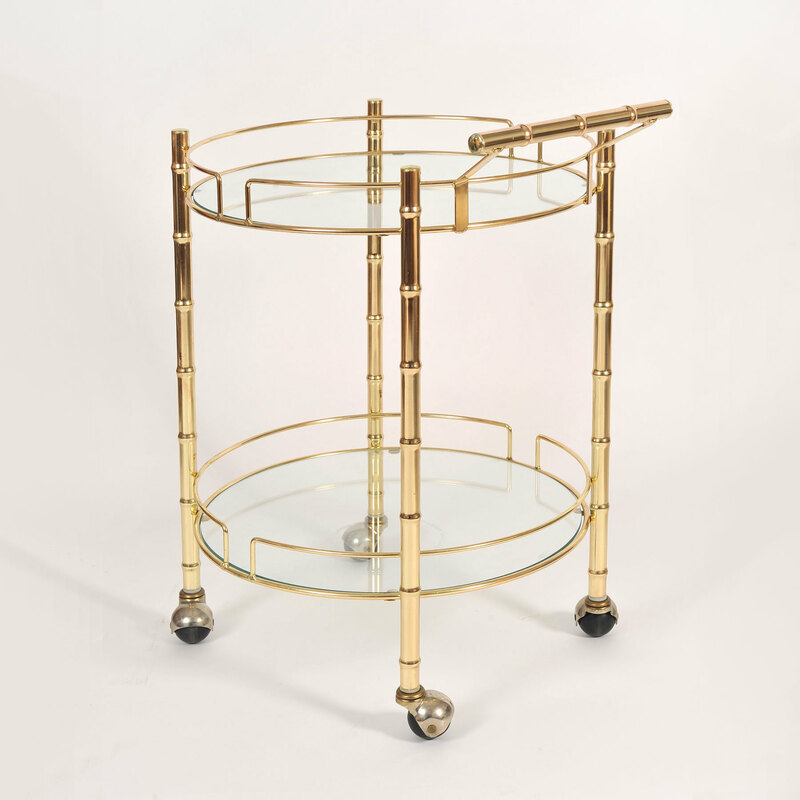 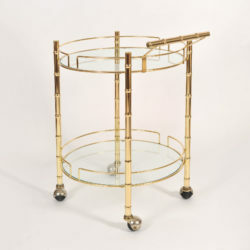 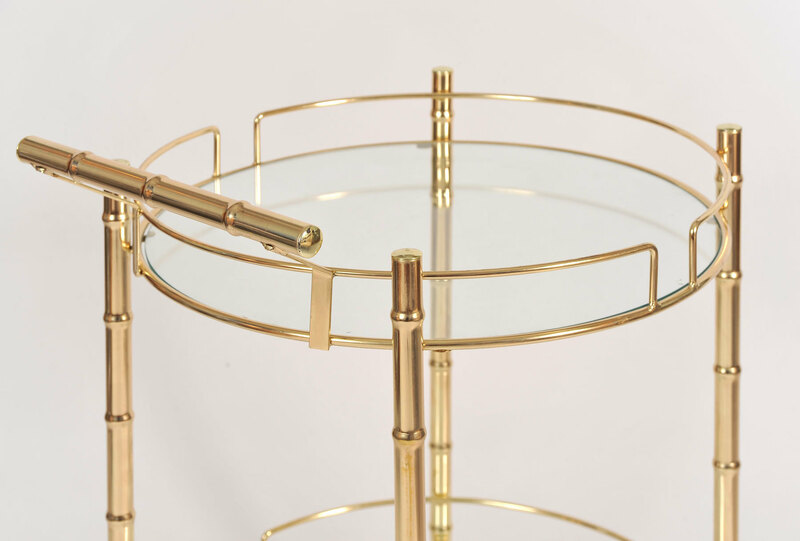 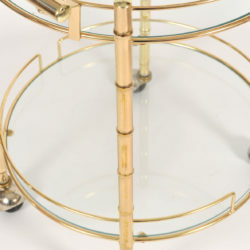 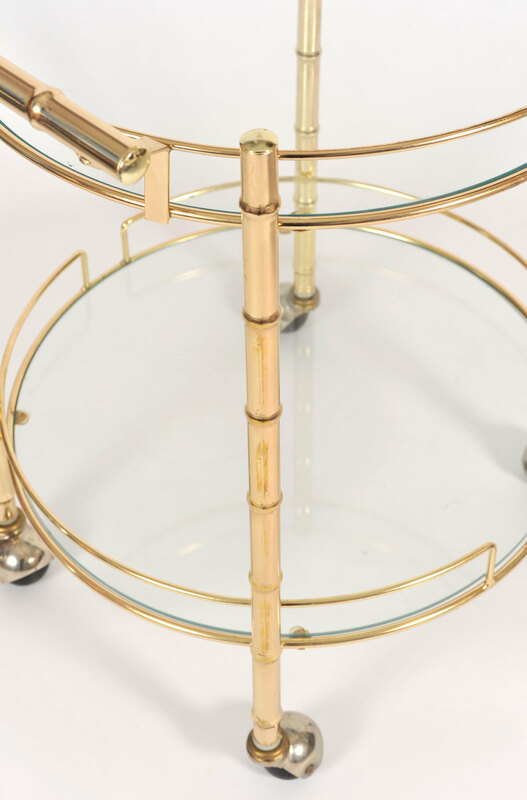 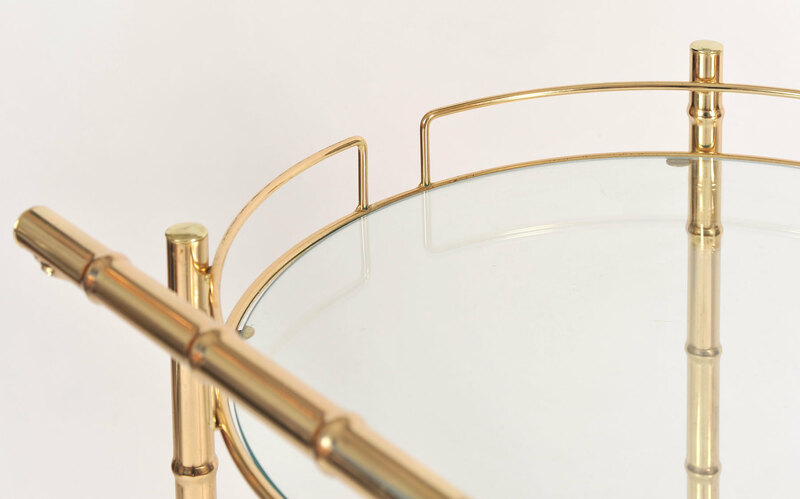 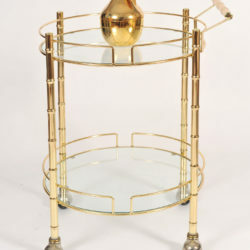 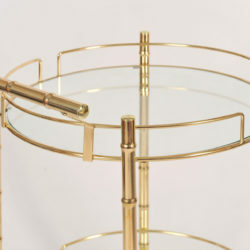 Hollywood Regency two-tiered circular drinks trolley. 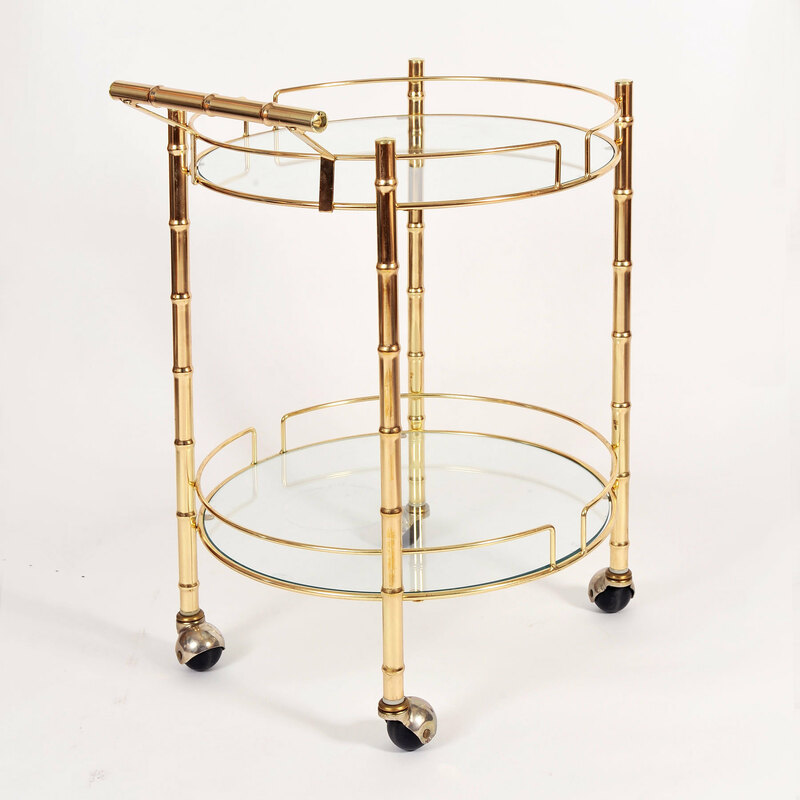 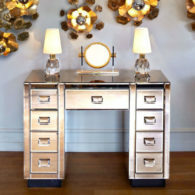 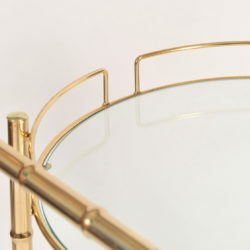 Brass 'bamboo' handles and legs. 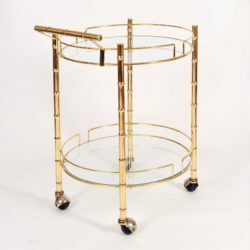 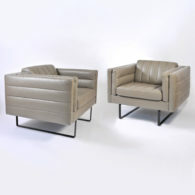 Four castor wheels allow for easy movement.